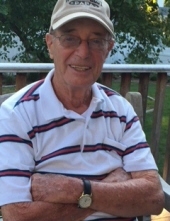 John R. Dame 72, of Providence, Rhode Island, died peacefully, Monday January 14, 2019 at Berkshire Place Nursing & Rehabilitation Center, in Providence following a long illness. A complete obituary will follow. Ann Maynard Gardner Ann M. (Patient) Maynard, 81, of Gardner, died suddenly Friday, January 11, 2019, unexpectedly in her home. Born in Leominster on October 2, 1937, she was the daughter of the late Wilfred and Marie (Brown) Patient. View The Obituary For Leonor Stark. Please join us in Loving, Sharing and Memorializing Leonor Stark on this permanent online memorial presented by A.F. Almeida and Son Funeral Home. View The Obituary For Leonor Stark of Tiverton, Rhode Island. Please join us in Loving, Sharing and Memorializing Leonor Stark on this permanent online memorial presented by A.F. Almeida and Son Funeral Home. 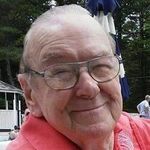 Celia N. Mirante, 87 of North Adams, MA died Tuesday January 15, 2019 at Berkshire Medical Center. She was born in North Adams, MA on January 20, 1931 daughter of Antonio and Rosaria (Pulanno) Mirante. She attended North Adams schools.